Sorry, my last blog wasn’t really as helpful as it could’ve been regarding remembered email addresses. 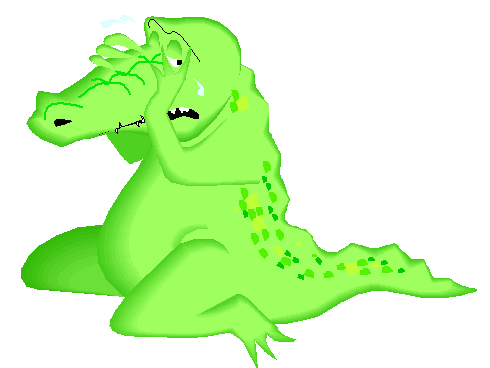 Okay, I’m crying crocodile tears; I’m not really sorry. Why? Because the last blog is very helpful if you need to remove individual cookies to discipline a badly behaving website. Today’s topic should be more helpful in getting rid of remembered email addresses. We’re going to talk about turning off the auto-complete function. In any email program, before you’ll see the fruits of your disabling-auto-complete labor, you need to clean out the wrong or old saved addresses from the address database. That’s Step Number One. 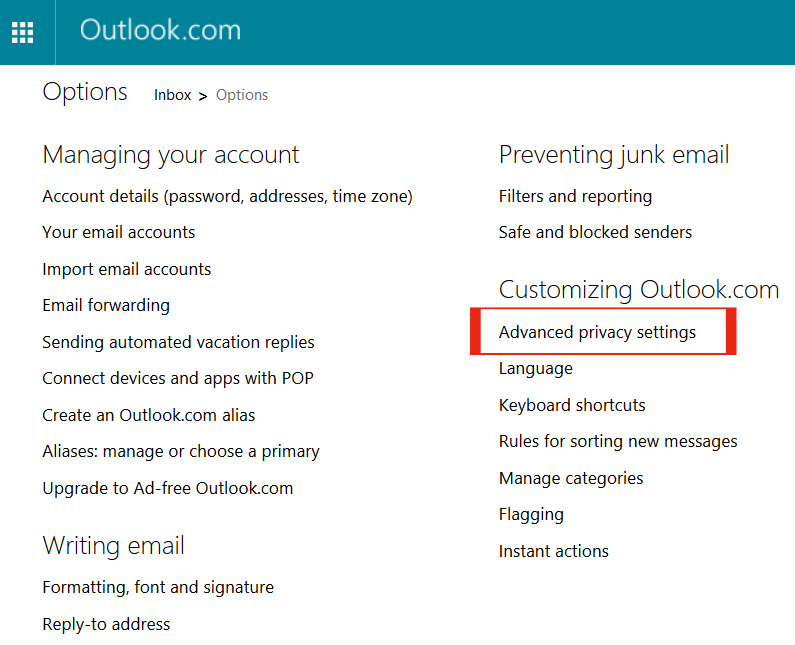 After you’ve accomplished that (or before, just don’t forget to do it later), turning off auto-complete will keep those pesky erroneous addresses from sneaking into your email address list. NOTE: This should work for any email program. I’m only listing a few of the most used: Gmail, Outlook, and Yahoo. 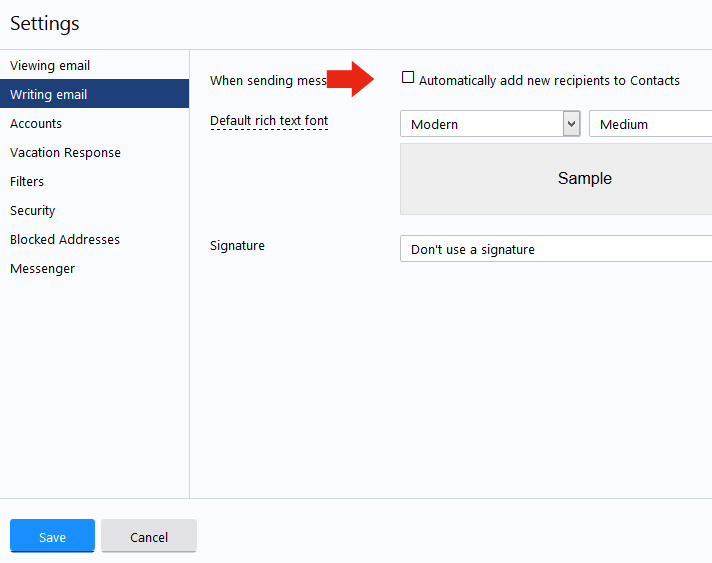 If you don’t use one of these three, play with your email program settings until you find a box or radio button that automatically adds addresses to you contact list and uncheck it. 2) Under the General tab scroll half to three-quarters of the way down to the area that says Create contacts for auto-complete: and choose the radio button I’ll add contacts myself. I know. I know. Now it’s work to add contacts. 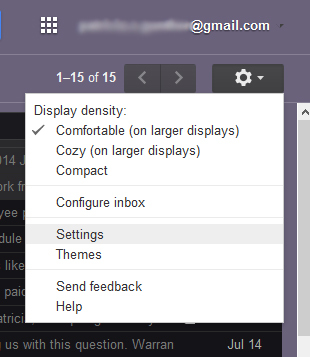 Here’s a shortcut in GMAIL. 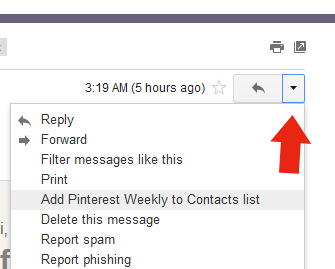 Click on the dropdown menu arrow in the upper right of the email you want to save the address on, choose Add to my Contacts list. 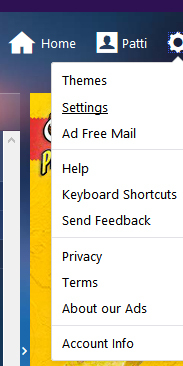 In the dropdown menu by New, Add contact. 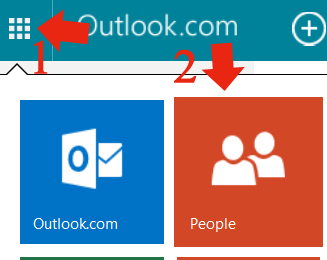 Let me know if you find a shorter way in Outlook. YAHOO is the easiest to add contacts. 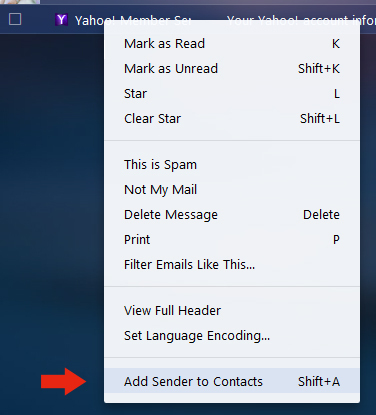 Right click on any email in your Inbox list, and at the bottom of the dropdown menu it says Add Sender to Contact List. One last step. 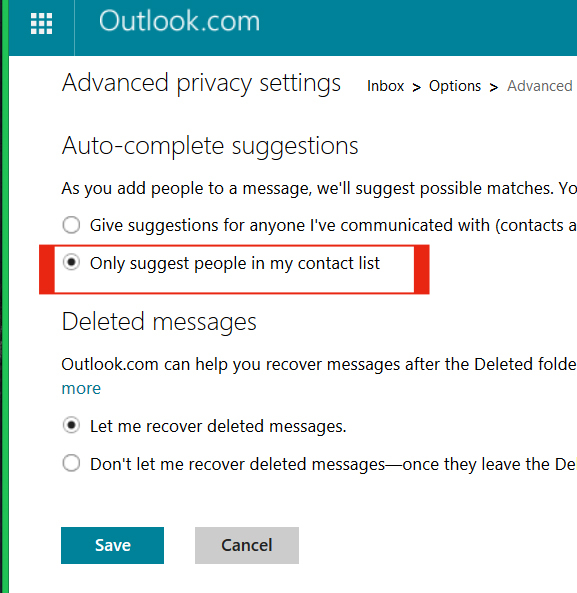 Highlight the radio button that says Only suggest people in my contact list, and Save. 1) Upper right hand corner, click the gear icon, click Settings. Select Writing Email, uncheck Automatically add new recipients to Contacts and Save. Technically, you probably won’t have troubles with misspelled addresses popping up in your Yahoo To: field, but this will keep old addresses from sneaking into your contact list. Hopefully, this trick makes emailing easier for you and will help clean up your addresses. This entry was posted in Computer Technology and tagged add email contacts, auto-complete, auto-complete addresses, Gmail, Outlook, Patti's Pathways, pattispathways, Yahoo on November 22, 2014 by Patti.